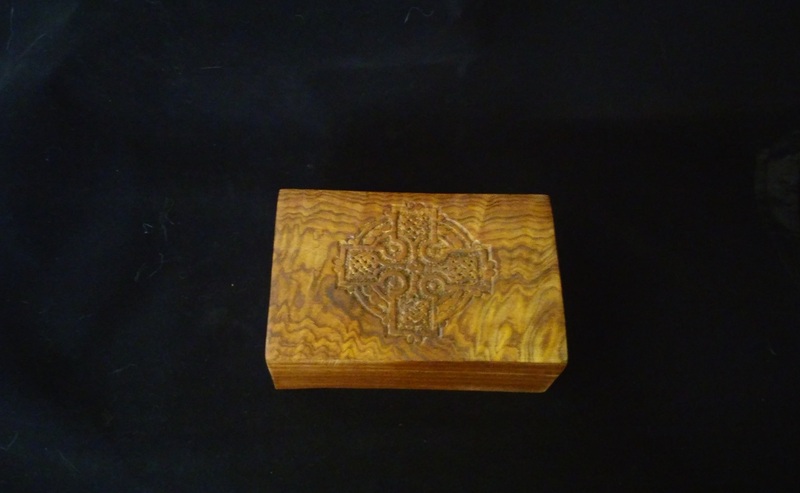 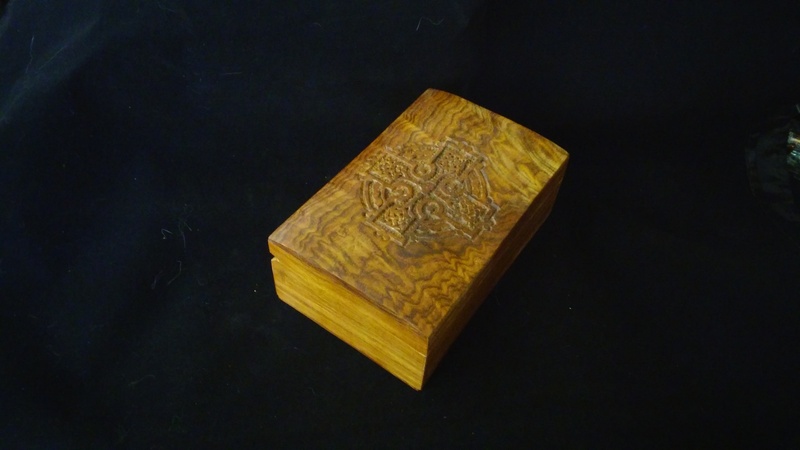 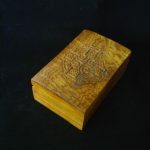 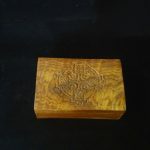 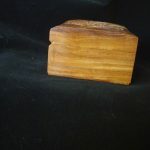 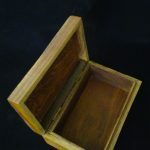 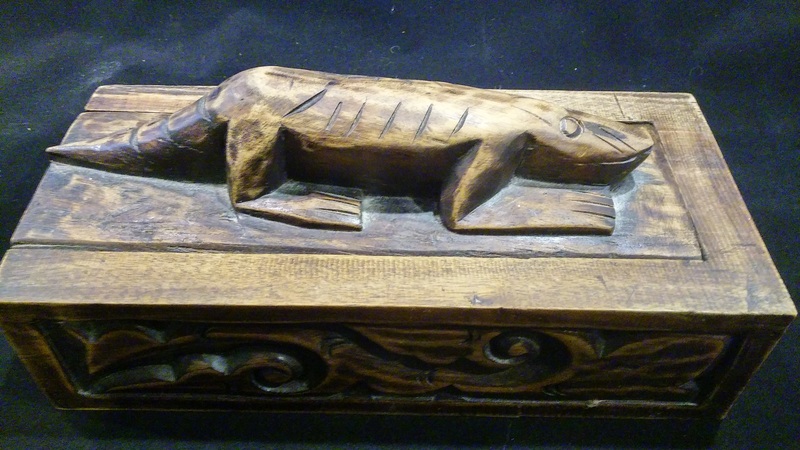 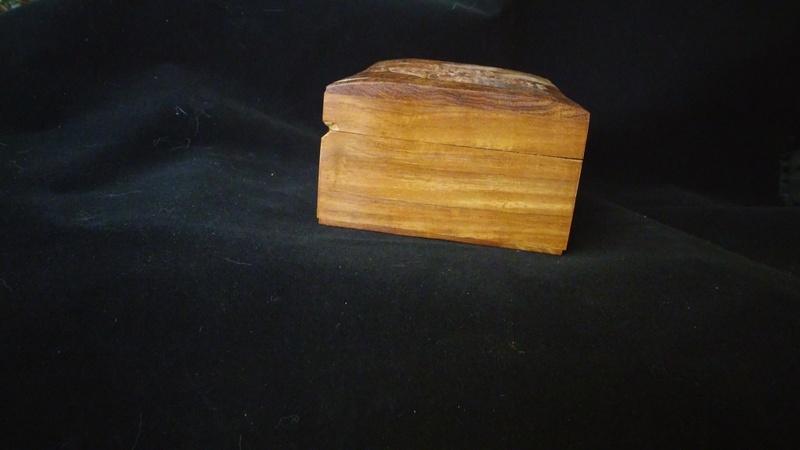 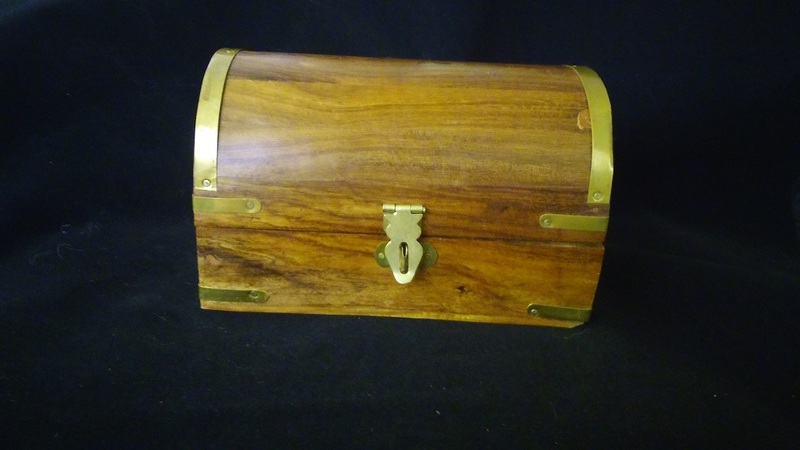 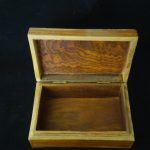 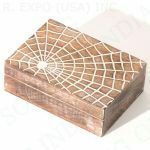 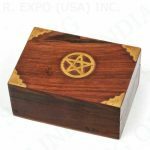 Carved Celtic Cross box, slightly domed top. 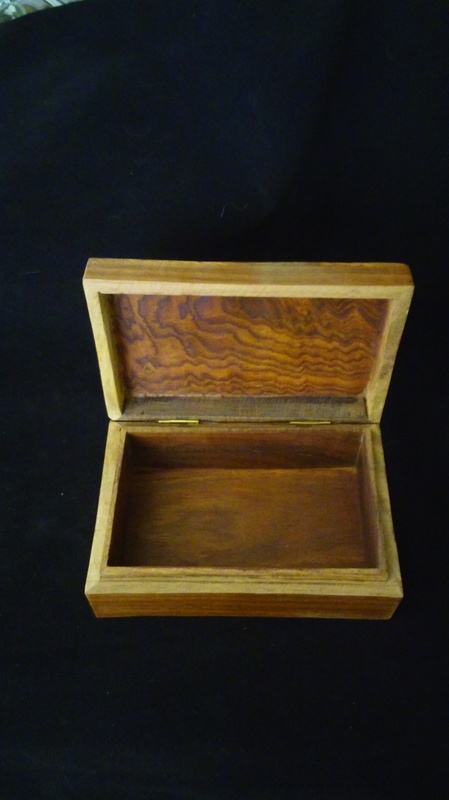 Outer dimensions are6″ x 3 7/8″ x 2 3/8″. 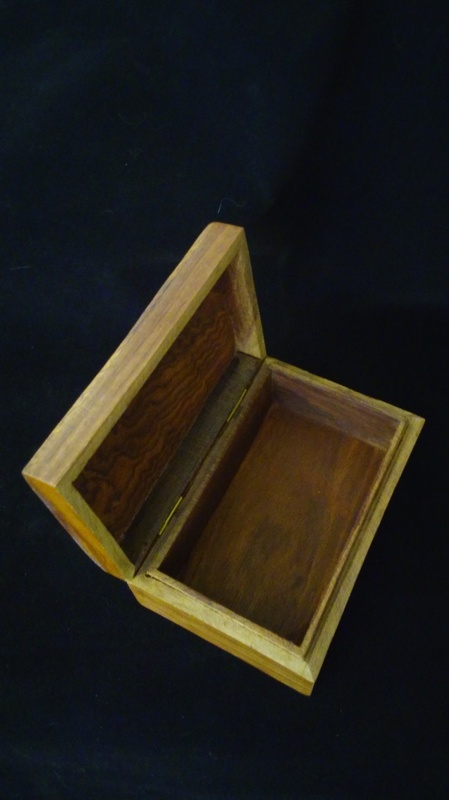 Inner dimensions 5 1/8 x 3″.